With plans completed and approved by the strand design review committee this home is offered to be built on this rare ½ acre homesite. 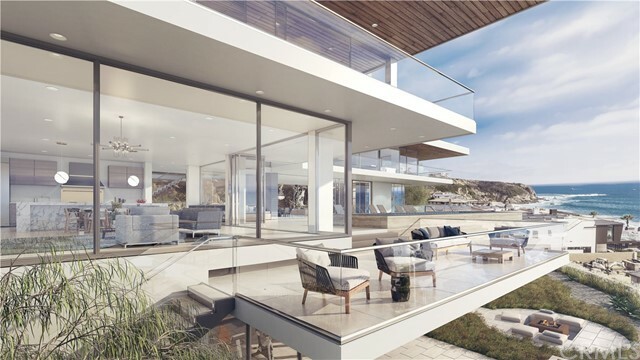 The masterpiece of modernism, designed through a collaboration of the two visionary firms of brown design group and coronado design group, will undoubtedly take its place among the distinguished and inspiring homes on the southern california coast. Dramatic and sensual, the nearly 14,000-sq. Ft. Residence will rest on nearly one-half acre above dana point strand beach in one of california’s most prestigious gated enclaves, the strand at headlands. Imposing and sleek, yet stately, the home is a showcase of glass, stone and wood. Its expansive spaces, open floorplan, and walls of glass create an awe-inspiring experience of spaciousness and light. Nearly every room provides breathtaking panoramic ocean views, catalina, the headlands, sunsets, and beyond to the horizon. Only the finest materials and fixtures will grace the residence. A partial inventory reveals starfire tempered glass, premium walnut and french oak; nublado, carrara and statuarietto marble; and kitchen fixtures by dornbacht, complemented by top-of-the-line la cornue, miele and viking appliances. The home’s amenities defy a simple list, a sampling includes pools and water feature, a putting green and golf simulator, spa and sauna, home theater, office, wine wall, terraces and outdoor spaces. The offering price is for the completed home to be built by the seller for the buyer. Welcome to paradise. This secluded oceanfront home was recently built with the finest materials. Enjoy sweeping panoramic ocean views including catalina island sunsets to the renown ritz carlton and beyond. Enjoy the fresh sea air and sounds of the waves crashing below. Nature at its best! Pelicans fly, dolphins swim and whales. If you are looking for a single-level home, this fits the bill. The main floor master, family room and kitchen are all on the same main level with stunning ocean views from each room. Downstairs, which has elevator access and a grand stairway feature to an amazing media room, wet bar and additional bedrooms. 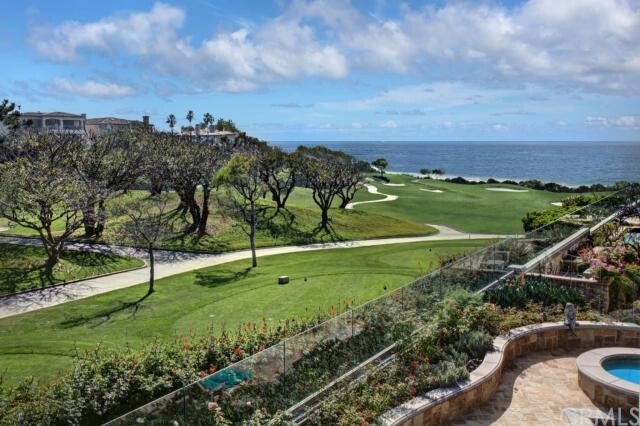 A short stroll or golf cart ride to the private monarch bay club on the sand, fully staffed with a soon-to-be-remodeled restaurant and casual dining areas managed by the 5 star monarch beach resort. Attendants set up your beach chairs, umbrellas and towels for a beautiful day on the sand with ease. 24 hour guard gated oceanfront community. The land is fee simple. A truly legendary property! Designed by world renowned architect richard landry. This is a great opportunity to purchase one of the finest homes in the strand. A new custom estate built and completed in 2017, purchased, then re-customized by a group of the finest builders and landscapers in california. Never lived in and sold fully furnished, interiors designed by sheldon harte of harte brownlee & assoc. Breathtaking ocean and catalina views from its bluff-top location in the premier first tier at the headlands. Step into the three story high light filled atrium with custom chandelier and beautiful staircase with an eye through the home to the sparkling blue ocean. Walking through the atrium you come into the great room and the electric wall of glass that frames your views of the pacific ocean and crashing surf. Five bedrooms, each with their own private bathrooms, six and 1/2 baths in all, approximately 7218 square feet of living space. The great room incorporates the most fabulous open kitchen with all the finest appliances, wrap around casual dining bar area, an informal breakfast dining area, formal dining room with wine cellars. A beautiful fireplace anchors the north wall and the southwest facing wall made of glass that electronically retracts to bring the pool and entertainment patio areas into the home. A magnificent private library and a cozy media room top off the extra living spaces in the home. The master suite has his and hers baths with huge walk in closets, full ocean view and balcony. Custom pool and three car garages. Fabulous clubhouse. This stunning oceanfront home is angled on an elevated promontory capturing miles of uninterrupted coastline and cerulean blue ocean as far as the eye can see. Built in 2003, the spacious 10,900 square foot contemporary home unfolds with an impressive entry, wide gallery halls, volume ceilings, floor-to-ceiling glass, wonderful natural light and warm ocean breezes. The breathtaking ocean views extend past broad limestone terraces while a secluded central courtyard is perfect for entertaining with outdoor fireplace, cook center, and spa. Five en suite bedrooms include well-designed guest quarters, a chef-grade kitchen with butler’s pantry and caterer’s entry, dramatic living room with wrap-around views, two elevators, wine cellar, and oversized motor court leading to three car garage. Monarch bay is a guard-gated community with 24-hour security, tennis, private beach club on the sand, and rests in close proximity to monarch links golf and the st. Regis, ritz carlton and montage resorts. Considered the premier oceanfront location in monarch bay, this fine residence offers unmatched space, design and coastal views above the crashing surf. Within the guarded gates of dana point’s the strand at headlands, stands this custom contemporary ocean view estate designed by renowned architect c. J. Light. As if taken from the pages of architectural digest, this remarkable residence takes inspiration from the finest global influences, culminating in a work of modern art. The precisely located homesite offers breathtaking panoramic views stretching as far south as san diego, encompassing catalina island, serene city lights, the coastline, and the pacific ocean. A dramatic entry sets the tone for the home’s impressive 7,500+ sq. Ft. Regal design with soaring ceilings, elegant details, and exceptional living spaces. Centered around the vast great room, complete with luxe wet bar, the main level features a lavish master suite, 2 ensuite bedrooms, a dining room, and a stunning kitchen with top-end appliances and an oversized pantry. A grand staircase leads to the upper level, featuring an open entertainment lounge with mahogany bar, a secondary master suite with views of dana point harbor, and a separate suite with kitchen and living room. With 2 front decks, a raised terrace, large upper deck, covered lower patio, limestone decking, a raised pool and spa with swim up bar, and fire pit, the outdoor space takes full advantage of the coveted california climate. A 3-car and separate 1-car garage, mahogany wine wall, wyland sliding door systems, and custom mahogany doors and floors round out the amenities of this exquisite estate. Seaside luxury abounds from this tuscan estate. The rustic elegance of this over 8000 sf home overlooking the pacific ocean illuminates the perfect blend of ocean and earth. This custom home showcases sweeping views of the water, while offering endless amenities throughout, including an expansive temp controlled wine cellar accommodating over 4000 bottles for the collector and connoisseur. This home offers a private movie theater, a gourmet kitchen, six bathrooms, four guest rooms including a master retreat enviable of the finest italian villas. 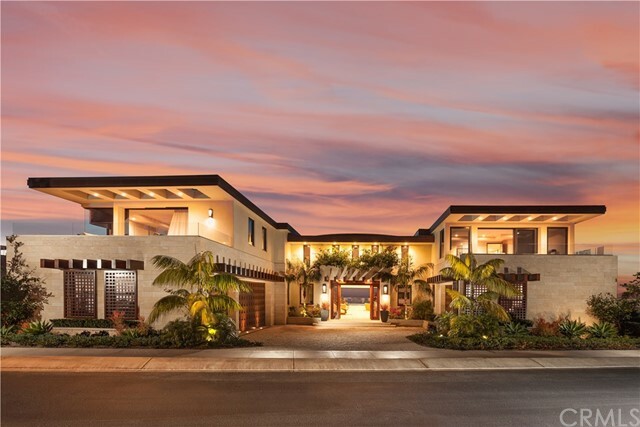 This incredible property boasts rich textures combining all of the elements of wood, water, fire and earth into a warm and inviting home overlooking dana point’s strand beach. The backyard features an infinity pool, creating the feel of being on with the ocean below. Ideal for entertaining, this home was designed by award winning architect stan schrofer and built with exceptional construction and materials. 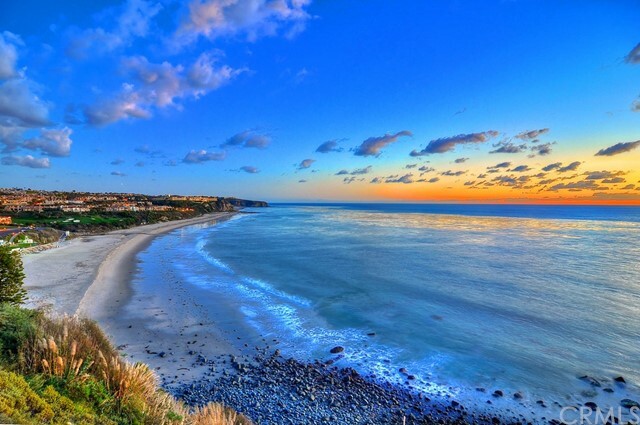 Dana point offers the serenity of beach living in a well appointed community. Just minutes from this property, discover excellent golf courses, hotels, shops, restaurants, dana point harbor and doheny beach. This soft contemporary home blends the exterior of traditional cape cod, with its rich cedar shingles contrasted by white trim and commanding columns, with the elegant interior elements found in classic eastern seaboard design. Designed by renowned architect c. J. Light, the home thoughtfully combines an open, airy floor plan that seamlessly flows onto large terraces of inviting ocean and sunset views to breathe natural zen-like harmony with the crashing waves of the blue pacific ocean. Spacious in size, this six bedroom residence with eight baths, two powder rooms, grand game room, incredible ocean view terraces, home spa and theater is the ideal venue for gracious entertaining, pure tranquility and basking in the warm californian lifestyle. Truly an outstanding custom residence located in the 24-hour guard gated community of ritz cove! 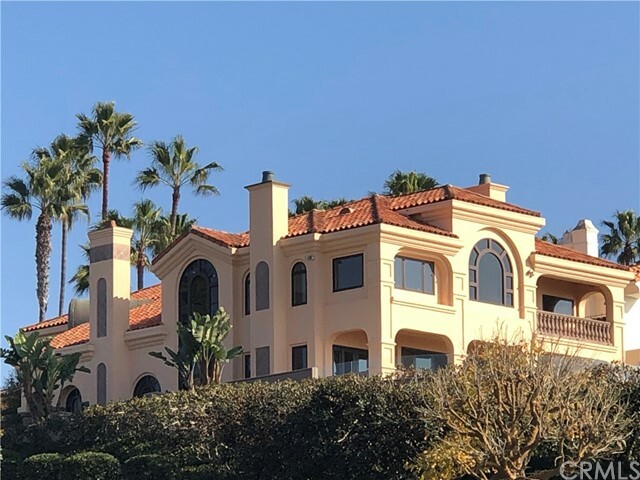 5 bedrooms, main floor office, 7 bathrooms, and some of the most dramatic coastline views displaying the most incredible sunsets and full on view of catalina island! The custom renovation of this residence includes a complete gourmet kitchen with a 6-burner wolf range, microwave, 2 dishwashers, multiple sinks, warming drawer, wine cooler, triple reverse osmosis water in kitchen, pantry area, and varying counter tops of travertine, marble and granite! Two of the 5 fireplaces were custom made on site, new travertine flooring throughout main level, "concertina" doors along west side of home, fully paneled library with fireplace, outdoor water feature, and full bath. Venetian plaster, newer stair treads, fixers and wainscoting. Master suite has marble flooring, jacuzzi type tub, fireplace, 2 vanities and 2 toilets, and a "most generous" walk in closet. Lower level consists of theater room with surround sound, exercise room, and a guest suite with bath and steam shower. Walk out to lower level to a pebble tech pool & spa (wifi controlled), outdoor bbq, & incredible ocean view patios! 3-car garage contains tile flooring and extra storage. Add'l features include all upstairs bedrooms are en-suite, whole house water filtration system & speaker system, alarm system, a wine room w/storage, and much more! 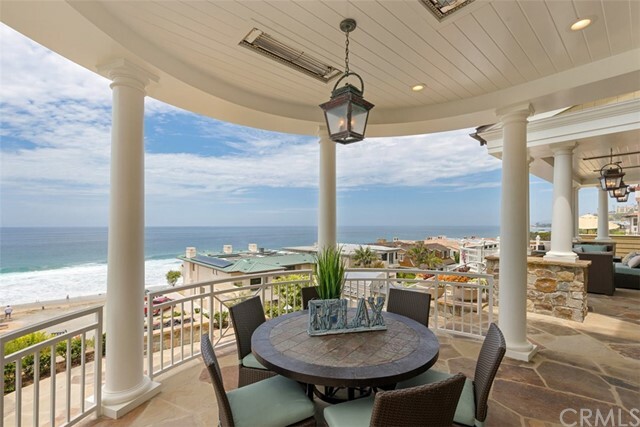 Tremendous ocean & coastal views, walk to salt creek beach and the ritz carlton! 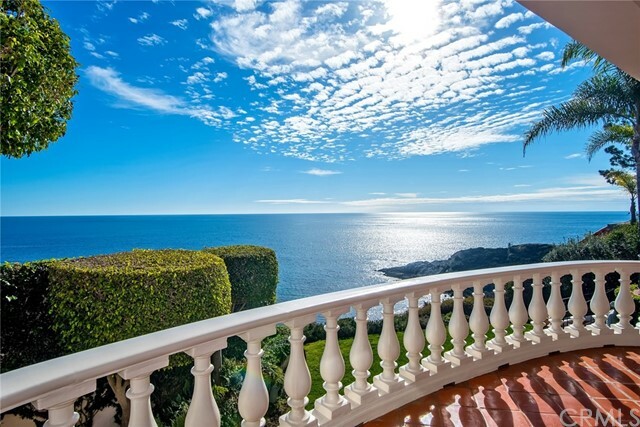 Breathtaking oceanfront estate with sweeping views encompassing catalina island and kaleidoscopic sunsets located in the prestigious community of monarch bay. This french provincial home built with detailed craftsmanship throughout sits among a spacious 19,688 square foot private lot poised to capture ever-changing ocean vistas. Surrounded by gorgeous french inspired gardens a private pool w/ solar panels, and a very spacious courtyard to accommodate guest parking. Five bedroom 6 bath with a grand foyer, formal dinning room, a butler’s pantry and grand living room w/ built in custom cabinetry. Enjoy the indoor wet/dry sauna. Every detail was carefully selected and quality crafted. This outstanding ocean front community features “24 hour guard gate” and the monarch bay beach club which is an oceanfront private beach club, enjoy the butler style service at the beach including towels umbrellas as well as ocean front dinning, volley ball, beach fire pits, and a private tennis court! Located minutes away from the dana point harbor and laguna beach. One may also walk to the renowned ritz carlton should they desire! Located in the prestigious monarch cove enclave of the 24hr guard gated private community of ritz cove, this european inspired villa features unparalleled views of the best fairway on the monarch beach resort golf course and the pacific ocean. Enjoy private beach access for those afternoon strolls on miles of beach and an exclusive membership to the monarch beach resort club overlooking famous salt creek beach. This 5 bedroom, 5 1/2 bathroom family home features exquisite finishes throughout, with every amenity and detail meticulously conceived. Extraordinary master suite evokes the ultimate sense of elegance with ocean and golf course views from every window, spa tub, steam shower, sauna & generous custom finished walk in closet. Step into the backyard designed to entertain your guest and enjoy sweeping golf course and ocean views all while enjoying your private pool and spa. Located within walking distance to two of orange counties 5 star resorts, world class shopping and zagat rated dining experiences. As of today, 4/22/2019 the average home price for homes for sale in Monarch Beach is $5,645,705.